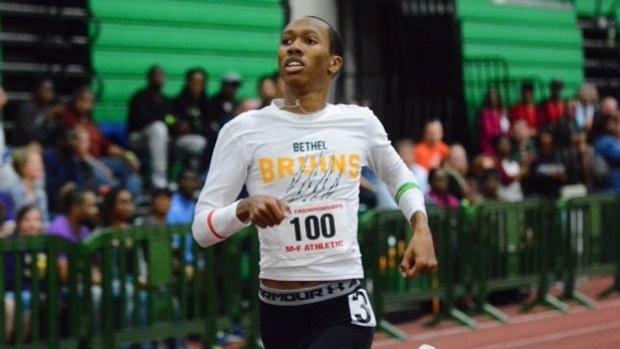 Before Edward Richardson III stepped on the track as a high school freshman for Bethel High School in 2016, he had already shown significant patience as an athlete. As a younger child, he had studied karate for years, earning his black belt by the age of 12. And once Richardson eventually decided to transition to track and field, following in the footsteps of his father, Edward Richardson Jr., that focus and determination almost immediately transferred over, with the sprinter producing a US No. 5 effort in the 500m (1:04.42) and No. 22 effort in the 300m (34.60) as a sophomore. "It became a daily routine for five years," Richardson said of his former karate practice. "It was more about the structure and not giving up anything that you started." If karate taught Richardson anything, it was that success was in the details. Since then, the Virginia sprinter and hurdler has become one of the most versatile athletes in his state, racking up 12 state championships over the indoor and outdoor campaign and competing in everything from the sprints to the hurdles, from the jumps to the mid-distance races. He signed with the University of South Carolina in November. Personally, though, there's a recognition Richardson is holding near to his heart. He wants to leave Virginia as one of only a few four-time winners in the 500m. "It's one of those things," he said. "I'm trying to be one of the greatest athletes to ever come out of the state of Virginia. Not a lot of people have won four state titles in the same event. I want to be one of them." He added: "Just because you have success, you still have to be hungry for every meet you're at." A year ago, Richardson finished third in the invitational field of the 500m at The VA Showcase in Lynchburg, Virginia. This weekend, the senior will be back--for the third straight year--and will be eyeing up the invitational title for one of the premier events over the indoor season. "I've always liked going there because of all the competition and all the good vibes it brings," he said. "But the atmosphere, it's crazy, it almost feels like an early nationals." Richardson is seeded fourth in the 300m and seventh in the 500m. He'll face Bullis School's Ashton Allen and Ryan Willie in the 500m, along with L.C. Bird twins Josiah and Jeremiah Hill. Competition, Richardson says, has always motivated him just a pinch more. "I know that athletes coming in are some of the best in the nation," he said. "That's where I want to be, too. I want to get my name noticed and be in those conversations." Historically, Richardson has been very good, though maybe just outside the all-time marks. 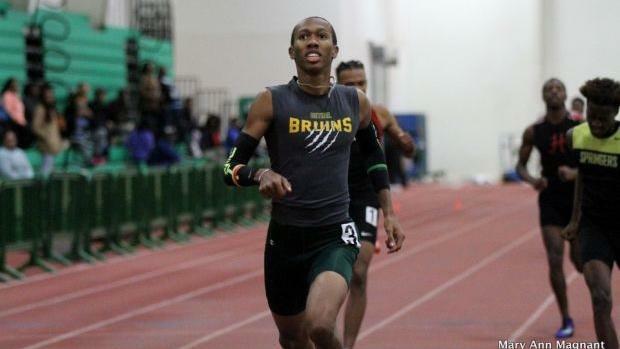 He ranks 30th in Virginia history in the 500m and 39th in the 300m. Both state-leading marks are held by Oscar Smith graduate Michael Cherry, who went 1:02.61 and 33.05 seconds in the events, respectively, in 2013. Richardson has been hovering around 34-high and 1:04-mid for much of his career. But he believes a breakthrough is coming in 2019. "I just think about myself as an athlete, I want to go out there and be the best I can be," he said. "Every day I'm pushing myself." Ultimately, Richardson's collegiate future may lie in a different event outdoors. He sees himself primarily as a 400 meter and 400m hurdler, and his goal this spring is to break 47 seconds and 52 seconds in those events, respectively. A year ago, he made the podium at New Balance Nationals Outdoor in the 400mH, finishing sixth in 52.59. Richardson also is following in his father's footsteps, and not just in name but in athletics. Richardson Jr. competed at Clemson University. Richardson is headed to the Tiger's heated rival, the Gamecocks. Karate was an early lesson. "He always told me about not giving up anything that you start," Richardson said of his father. And with some of his biggest races ahead of him, the Bethel senior is focusing on achieving those goals. "When people talk about a race, big or small, it gets me exited," he said. "Because I love to run."